Bruce Wilkinson’s heart is touched by the needy of the world, and he is especially burdened for those who have sacrificed to save unborn babies. 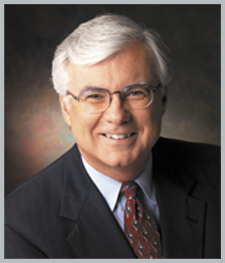 In recent years, Bruce Wilkinson has been heavily involved as a banquet speaker and has raised the level of giving exponentially. He has written more than 60 books that have been translated into 30 languages, including several books that reached the number one spot on the bestseller lists of The New York Times, The Wall Street Journal, and USA Today. Bruce’s breakout book, The Prayer of Jabez, remains the fastest-selling book in history, with worldwide sales exceeding 20 million. It was also the first book to win the Christian Book of the Year award two years in a row. Wilkinson’s book, A Life God Rewards, became the first religious nonfiction book to appear at the number one spot on The New York Times bestseller list in its first week on the market. His other popular books include Secrets of the Vine, Beyond Jabez, Set Apart, Experiencing Spiritual Breakthroughs, and The Dream Giver. His latest book, The God Pocket, will release this fall. In addition to being in demand as a speaker and writer, Wilkinson is a gifted, visionary leader. He served as the publisher and executive editor of ten monthly magazines, with more than 120 million copies distributed. He is the author of the outlines of the books of the Bible for the best-selling Open Bible, and has served as the executive editor of three Bibles. He built the largest religious seminar organization in the world, Walk Thru the Bible. He has trained 100,000 professional teachers in Teaching for Life Change and is a trainer of coaches in the Dream Giver methodology. He launched and led the global initiative WorldTeach, which has recruited and trained more than 30,000 indigenous leaders in 83 nations to conduct life skills courses. Bruce produced a motion picture about AIDS called Beat the Drum, which has been seen in more than 100 nations and has garnered 30 international awards. He also chaired CoMission, a movement in which 87 national organizations joined together to train Russian teachers on ethics and teaching methodologies. Wilkinson has been a featured guest on major television and radio shows and has held private meetings with foreign presidents, as well as key leaders in the U.S. government. Bruce Wilkinson has a long history of practical ministry service. He launched Heart for Africa, which mobilized First World volunteers to plant more than 500,000 backyard vegetable gardens for orphans and the hungry. He also launched a movement to recruit more than 1,000 college students from 11 nations to conduct AIDS training in high schools. He led major tribal and racial and religious reconciliation conferences in Uganda, Namibia and South Africa. Bruce Wilkinson is happily married to Darlene, and they are blessed with three children and six grandchildren. You, too, have been given a Big Dream. One that can change your life. One that the Dream Giver wants you to achieve. Does your Big Dream seem hopelessly out of reach? Are you waiting for something or someone to make your dream happen? Then you’re ready for The Dream Giver. Let Bruce Wilkinson show you how to rise above the ordinary, conquer your fears, and overcome the obstacles that keep you from living your Big Dream. You were made for this. Now it’s time to begin your journey.